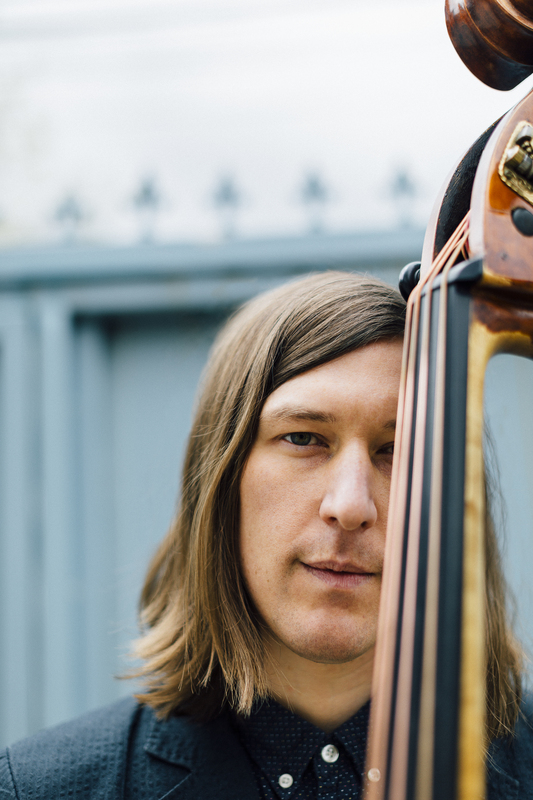 By now, anyone who follows Chicago jazz knows of the distinctive work bassist-composer Matt Ulery has produced. Ulery albums such as “By a Little Light” (2012) and “In the Ivory” (2014) won richly deserved national attention for the inherent lyricism and poetry of the music, but also for Ulery’s seemingly effortless way of blurring genres. Listeners might argue whether this work was jazz, classical, pop, minimalism, folkloric, you name it. But there was no disputing its nearly seamless merger of sophistication and accessibility, harmonic idiosyncrasy and melodic allure. Not surprisingly, Ulery’s newest album — “Festival” – continues his pursuit of the unconventional. In a way, “Festival” amounts to three albums in one, particularly in its vinyl version, with Side A featuring music for large ensemble; sides B and C spotlighting his adventurous Loom quintet; and side D documenting an unusually scored unit featuring Ulery on tuba and Rob Clearfield on pump organ. And though record-label marketing gurus never would recommend putting so many far-flung sounds and ideas on a single release, Ulery, as usual, simply went his own way. “I’m always writing music, always looking for the right musical home for any particular piece I’m working on,” says Ulery, in explaining how the three-ensemble concept for “Festival” came to be. “As these things were developing, I realized: I have a distinct collection of music that I’ve been writing for my quintet Loom. Then I have these two jazz orchestra pieces using the same core musicians,” adds Ulery. By that Ulery means an ensemble reflecting historic New Orleans traditions, playing music that echoes what you might hear at a majestic, Crescent City funeral procession. With all these ideas mushrooming and all this music developing, Ulery decided “it was time to record,” regardless of how eclectic the scores happened to be. But listen to “Festival” from start to finish, and there’s no mistaking the through line: Ulery’s musical persona, which leans toward atmospheric settings, urgent lyricism and subtle details of voicing. Consider the two opening tracks, which Ulery refers to as big-band writing but represents a deeply personal approach to the idiom. Translucent textures, shimmering colors and sweeping strings distinguish Ulery’s arrangement of Jimmy Rowles’ “The Peacocks.” Pulsing rhythm, punctuating silences and softly radiant horn writing drive “Hubble,” a work Ulery wrote and arranged. “Some musicians get exposed to jazz for the first time through hip-hop music or through modern R&B or even just hearing modern jazz,” says Ulery, who was born in Maywood and raised in Rockford. Indeed, when Ulery started high school, he got wind of a Rock Valley College community jazz band that rehearsed on Wednesday nights. “I was 14, and they didn’t really accept kids — mostly men in their 60s and 70s who had been doing it their whole lives,” recalls Ulery, who got his dad to make a phone call on his behalf. The elders apparently liked Ulery’s playing enough to keep him in the band through all four years of his high school career. And those “professionals, old guys — they taught me how to play,” says Ulery. But that illuminates just one facet of the “Festival” project. Ulery considers the Loom quintet tracks “chamber jazz,” an appropriate description considering the characteristically sensitive work of Geof Bradfield on clarinet and bass clarinet, Russ Johnson on trumpet and Jon Dietemyer on drums, plus Clearfield on piano and Ulery on bass. As for the five “Festival band” songs that conclude the album, these indeed invoke New Orleans musical traditions, as Ulery says, but take them into a contemporary harmonic and melodic context. Past meets present, New Orleans meets Chicago in these works, to vivid effect. Though Ulery has enjoyed considerable success releasing past albums on trumpeter Dave Douglas’ widely admired Greenleaf Music label, “Festival” belongs to Ulery’s self-styled Woolgathering Records. “Moving forward, unless something comes along that I can’t refuse, I’m going to put out records on my own label,” says Ulery.